Importing Tasks via Remote Management – Step-by-Step » The Qlik Board! Thanks Bill. This is a very timely post, as I am going to be doing a similar migrate in a couple of weeks and like you had not had a chance to use this in anger before. Feel a bit more confident about it now! Hi Steve – I just discovered that the triggers were indeed created. They only appeared to have not been because I had checked the “disable task triggers on import” box. Good luck. Thanks a lot Bill. It worked fine and saved a lot of efforts however we are facing one issue like whenever we are running task on new server it is creating two copies on the access point of same QVW application. Any idea why is that happening? Is it possible you have same folders mounted twice? For example, if you have the Folder_ABC mounted as root (QMC: System > QVS > Folders) and also mounting some of the subdirectories explicitly. Just a thought. I’ve followed all your steps here but I cannot see the source folders on the target server. Note I’m trying to import from a 11.2 server to a new 12 server. Any advice would be appreciated..
Joe – I’ve not tried this with version 12. I wonder if there’s some nuance in going from 11.2 to 12. Do you have an unused 11.2 instance still running? You could try to import there to confirm that you have the basic steps correct. Then figure out why going to 12 is failing. Sorry I can’t be more helpful! 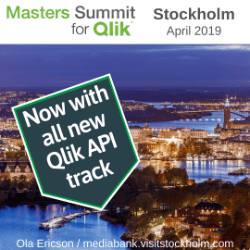 The involved environments must use the same major QlikView release (for example, QlikView 12 and QlikView 12 or QlikView 11 and QlikView 11.20). 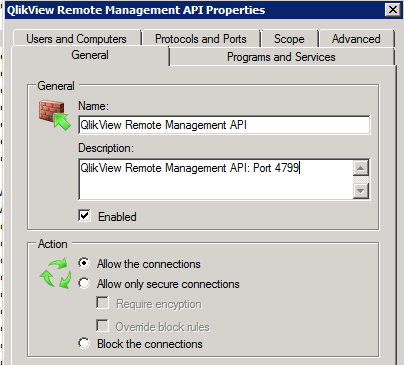 If the involved environments use different major releases (for example, QlikView 11 and QlikView 12), the Remote Management Services cannot be used. While importing tasks the “On event from another task” triggers are not getting imported.